The first time I saw Jack Garratt perform was to a crowd of about two hundred people – mainly industry/label folks – almost exactly a year ago at New York’s Mercury Lounge. I was late to the show, but when I got there I discovered that Garratt’s equipment was experiencing “technical difficulties,” which is definitely one of the worst things that can happen to an electronic music artist. Not one to be easily defeated, Garratt reassured the audience that this was only a “minor setback,” and he proceeded to soldier on, making due with the only other instrument he had at his disposal: His guitar. 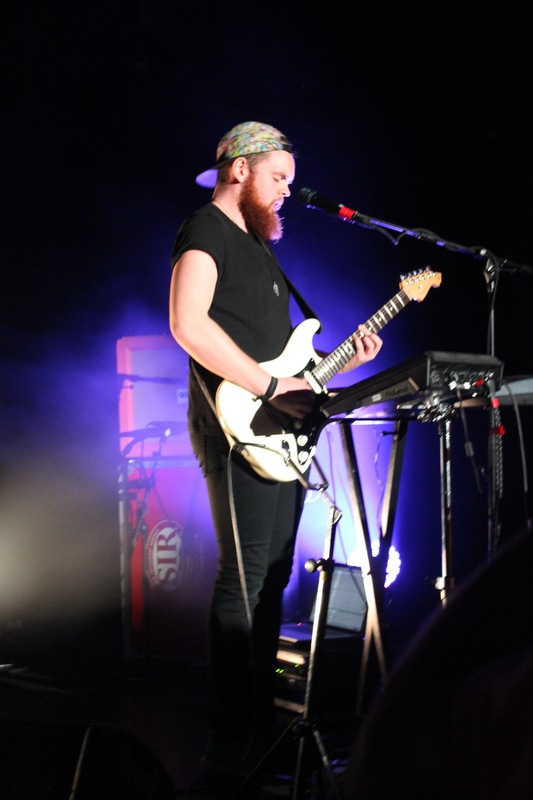 My first memory of Jack Garratt is of him wailing out his song “Worry” on a naked electric guitar… and of my jaw dropping to the floor in utter shock and awe of the sounds this man was capable of emitting from that axe. The way he manipulated it – made it wail and scream, alongside and in contrast to his voice – was all the indication I needed to know I was in the presence of greatness. Last-minute problem solving and improvisation on Garratt’s part revealed the true depth of this man’s talent; usually you have to dig deep in order to realize someone’s significance, but I came out of that concert assured that Jack Garratt was, indeed, the next big thing. For me, this Mercury Lounge performance is unequivocally associated with Jack Garratt. At the time, the 23-year-old (now 24) British multi-instrumentalist singer-songwriter was a fresh face, having recently signed to Interscope in the States after enjoying some success overseas with his 2014 debut EP Remnants (via UK’s Island). That New York show was Garratt’s label showcase – the first time most of the New York-based team had ever seen him or met him – and it was his second show in New York City, the first one having been just the night before. A few months later, I witnessed the might of Jack Garratt’s full live performance. Having just released his first EP with Interscope in the US, Garratt gave the crowd an intimate and intense hour-long concert. At the time I noted, “Watching the young artist build each song from the ground up offers a special, behind-the-scenes glimpse into his role as both artist and producer.” Seldom do audiences get to see the magic that goes into making music, but Garratt’s utilization of the microphone, guitar, keyboard, pads and loops provided some worthwhile insights. I have never before known a modern-day artist for whom I can give nothing but genuine and heartfelt praise. Earlier this month, I was in attendance for Jack Garratt’s sold-out show at Brooklyn’s Music Hall of Williamsburg: At first glance, it seems like little has changed about Jack Garratt the human being over the past year. His musical acumen is still unmatched, and he has maintained the same one-man performance routine that exhibits this musical finesse: It is not every day that you see an artist repeat synth line in one hand while flawlessly drumming with the other one. The past year has been very good for Jack Garratt: His stage presence, once a slight burden for the solo act, is now full and vibrant. His excitement is palpable through the physicality of his performance: He sways with the grooves, striking the drum pads not with his wrist, but with his full body. The BBC Sound of 2016 and 2016 Brit Critics Choice Award winner commands the audience’s attention through the musicality and the physicality of his production. My takeaway from the full Jack Garratt experience is thus: In this ever-expanding music world – one in which it can be difficult to distinguish true talent from the masses – Jack Garratt stands out as the highest quality of musician and entertainer. His songs are complex, his subject matter is deep, and his performances are moving. What more can we ask for? Garratt’s debut album, Phase, (February 2016 via Interscope), perfectly captures Jack Garratt’s ability to combine his many impressive talents into a tasteful and emotionally thrilling musical experience. However, the digital mp3 makes it all too easy to forget the nature of Garratt’s solo performance: When listening to Phase through headphones, I don’t think about the fact that Jack Garratt is credited for “vocals, all instruments, drum programming, production, [and] mixing” on this all-too humble debut. Instead, I just hear the music; is that enough? Fortunately, it is. Phase is an exploration of pop balladry through the vessel of electronic music. A coherent set with fluctuating energy levels, Phase sustains Garratt’s electro-R&B tinged “signature” while touring a musical expanse of highs and lows. Guitar, piano, and an oscillator are Garratt’s favorite weapons, and he uses them creatively, interspersing his instrumentation to allow different textures and timbres to shine. The limitations of Garratt’s resources become strengths as Garratt diversifies his sounds and tests their limits, shaping the evocative “Breathe Life” around the piano while crafting dynamic album opener “Coalesce (Synesthesia Pt. II)” around the synthesizer. Such deliberate arranging makes Phase come off as a display not only of Garratt’s potential, but also of these instruments’ utilities in the electro-pop-etc context. We are left not wanting more, but instead feeling satisfied in the wholeness and finality of the album’s sounds. 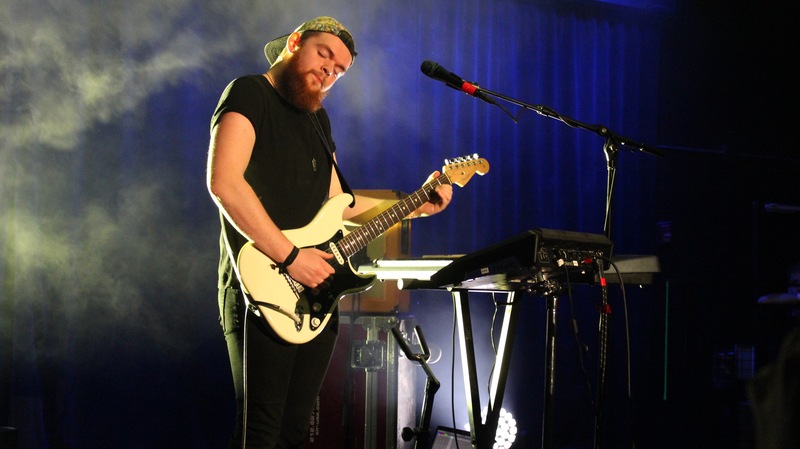 A year after his first-ever American gig, Jack Garratt is well on the way to establishing himself as a household name on both sides of the Atlantic, having completed his first ever headlining North American tour and released his first full-length record. It will forever be an uphill battle for him, but Jack Garratt is a one-in-a-million talent whose gift has been widely recognized and appreciated by those who have had the privilege of discovering him and his repertoire. Phase marks a special accomplishment for the young artist as he enters a new era in his career. Garratt will be challenged to reinvent himself, transform his sounds, push beyond his comfort zone, and exist outside the box. Now that he has delivered, expectations will be for him to deliver again – and he already has, to some extent, with a beautiful alternate version of “Worry” featuring Aftermath Entertainment-signed artist Anderson .Paak. 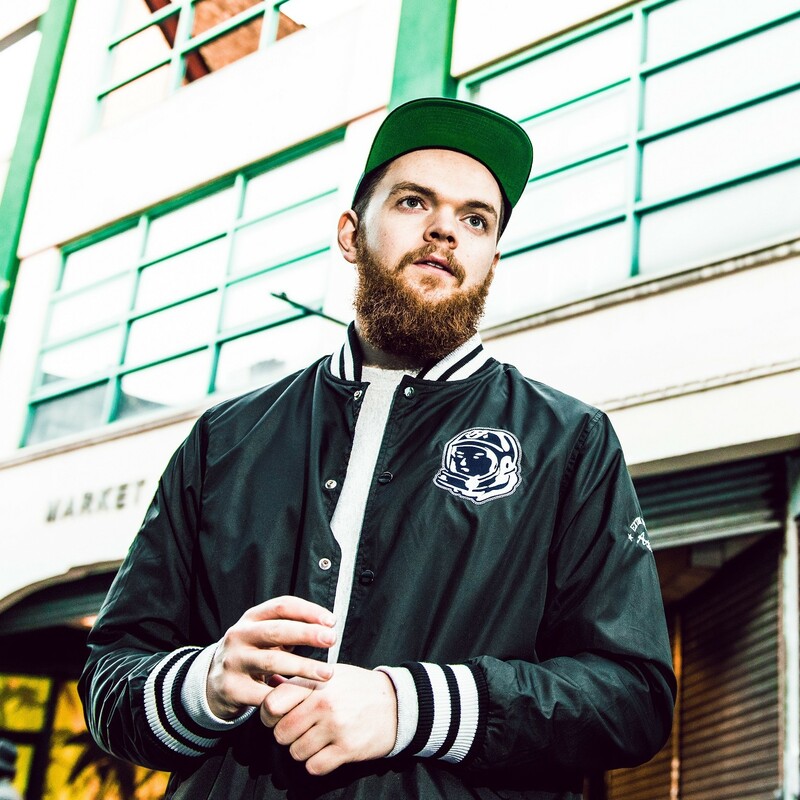 What does the future look like for Jack Garratt? What collaborations will he concoct? What otherworldly and familiar sounds will he extract from his instruments? The possibilities are endless for Garratt, and he has proved thus far that he can and will follow through: With an electrifying stage presence and a penchant for spine-tingling, release-filled and catchy tunes, Jack Garratt fills a niche as an an exemplar for the marriage of the electronic and pop music worlds. An authentic musician and exhilarating performer, Garratt is a modern one-man music machine. He sets the bar high with Phase, an album with a beginning, middle and end that captivates through dynamic twists and turns. Keep a close eye on Jack Garratt: With a talent like this, you never know what he might do next.